Torres del Paine occupies a remote and sparsely populated region of Patagonia. Getting there takes time and transport costs can add up. Be prepared to plan around not-so-frequent flight schedules, and for long (but scenic!) hours on the road. Visitors arriving by plane usually begin their journey in Santiago or Buenos Aires, and continue to Torres del Paine through a combination of local flights, buses, and transfers to the gateway town of Puerto Natales and several hours onward into the park. Travelers arriving from Buenos Aires can take a flight (approximately 3.5 hours) to El Calafate, on the Argentinean side of Patagonia, followed by a five-hour bus trip across the Chilean border to Puerto Natales. This option is particularly convenient for travelers wanting to visit Argentina’s Perito Moreno Glacier in the same trip. Travelers will take a flight to Punta Arenas (approximately 3.5 hours) followed by a bus to Puerto Natales (also around 3 hours). Buses leave from both the airport and from Punta Arenas town center. 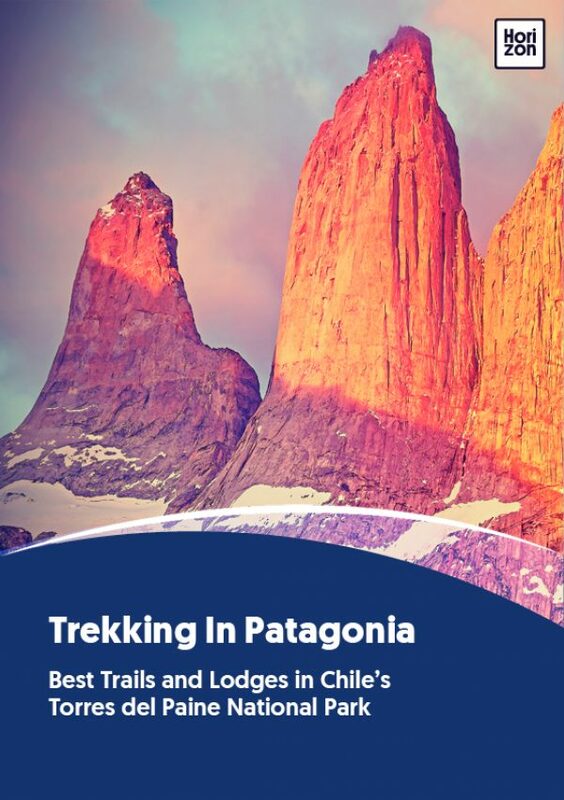 Guests will likely stay a night or two in Puerto Natales -- the closest town to Torres del Paine -- either before or after their time in the national park. Buses from the town or private transfers take a scenic 2.5 hour trip to the park entrance. Book your trip through a trusted tour operator. They’ll help coordinate flights and ground transport, which is often included in the total trip price. This will streamline the experience, avoiding confusion or problems along the way.